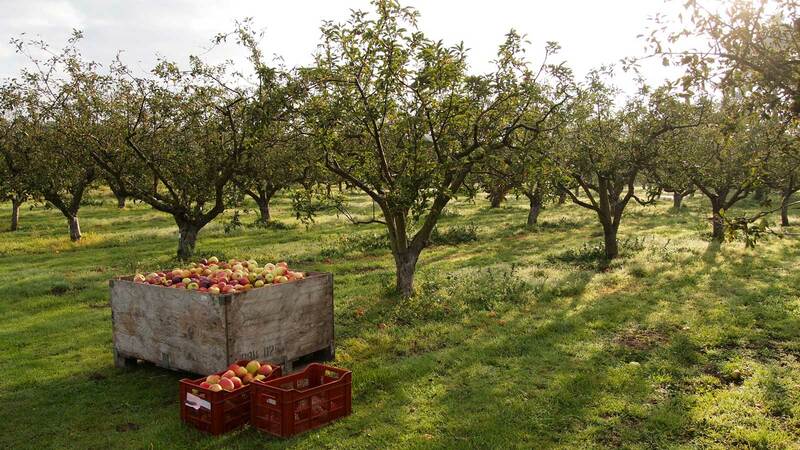 Cook Book « Boyer Nurseries and Orchards, Inc. Cook Book – Boyer Nurseries and Orchards, Inc.
Boyer Nursery and Orchards is proud to announce our new cookbook, From Tree to Table. This hard cover cookbook is the product of 100 years of collecting recipes from family, friends, visitors and customers. Featuring over 200 recipes ranging from appetizers to main dishes, and of course dessert. 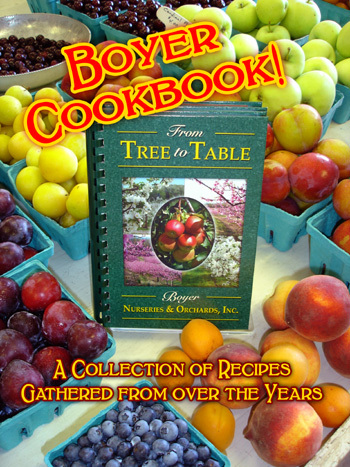 Looking for something new to do with your fresh fruit, then get the cookbook with mouth watering ideas. Preheat oven to 425 degrees. Line bottom of 9 inch pie pan with pastry. In unbaked shell, slice 4 to 5 peaches. to 325 degrees and bake 45 minutes longer. over the pie before baking. dozens more can be found inside! Order Now for Holiday baking ideas! You can fill out the form below for email orders. Please include quantity ordered, credit card number and expiration date. Please include contact information, quantity of books, credit card number and expiration date. Enter the number of cookbooks you would like to order. Also include your credit card number and expiration date and any other comments.